Scratch was an amazing runner, without him the MountainRun concept would not have been born, so I only feel it right to pay homage to him. Scratch has been one of my best running partners ever. Scratch found me, not the other way round. My sister gave me a call & asked if I wanted a puppy. I hadn't seen him. He arrived the day after I got the phone call. Pretty much from that point onwards we were inseparable. 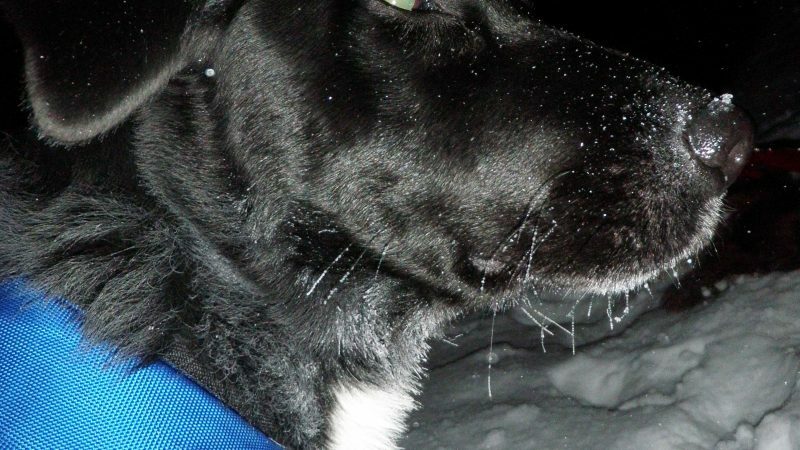 I got into running soon after Scratch arrived & at 9 months old he started to run with me. We started on the low fells around Windermere. At the time I climbed a lot as well & so of course Scratch came with me & at 12 weeks old, without a lead, Scratch waited for me at the foot of Gouther Crag, Swindale, and went to sleep. He has been the perfect friend, he trained himself, he has never run away. He never caused any problems, he just spent his time socialising in the shop we had in Windermere (The Outdoor Warehouse), where he would meet & great the customers. He had his own special offers section on the 1st guise of the Outdoor Warehouse - Online. He came running with me, he climbed with me, he camped with me, he trained with me. And when he wash;'t doing all that busy life stuff, he slept. Pretty well in fact. I have always been jealous at the amount of sleep my dogs get!. 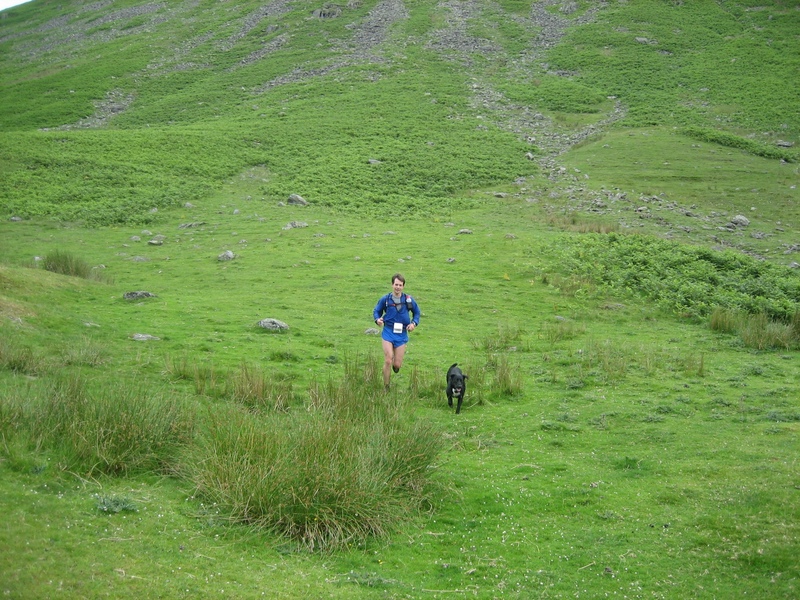 Scratch & I trained for the Bob Graham Round back in 2006. I had it in my head to pretty much on-sight solo it, just me & Scratch, we did it with some support in the end, but it was still pretty purist. 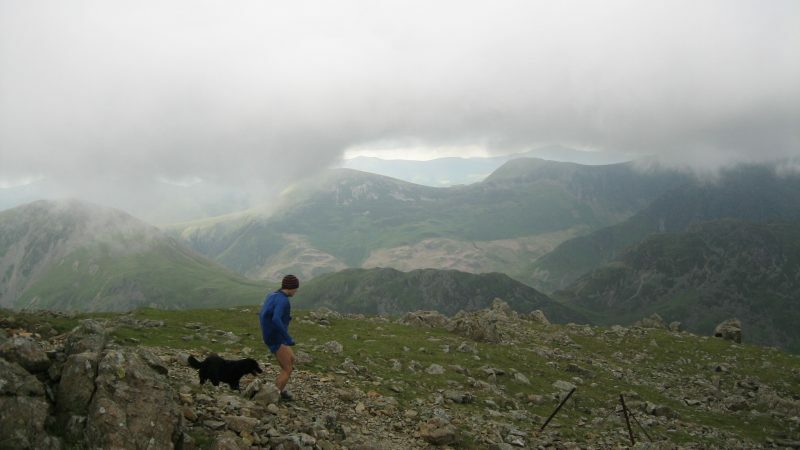 We only trained on the Northern Fells section once & did half of the Dunmail to Scafell section, dropping into Langdale. The rest of our training was general fell running & navigation. 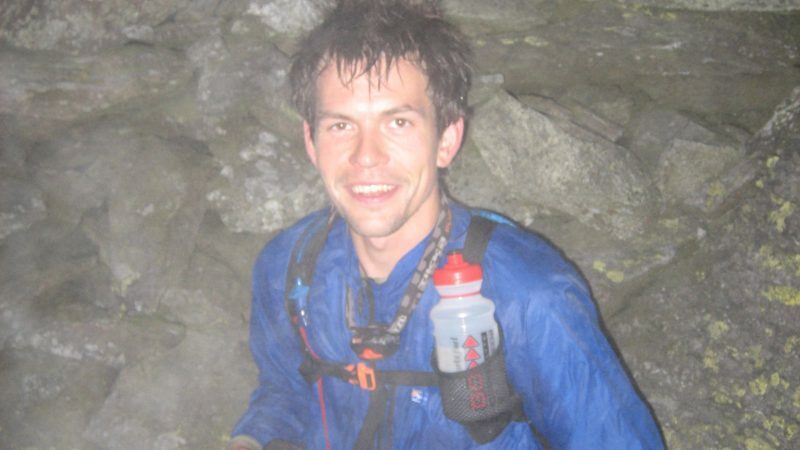 We just covered rough ground, around 40 miles maximum a week & did around 10'000 of ascent. It paid off & after a good summer of running, a GL3D & a LAMM B Class win under my belt, Scratch didn't share these unfortunately, we made an attempt on the 6th (?) of July, only a few days away from Joss Naylor's 70 at 70 birthday run. We completed our mission, semi supported by Chris Graham (Northern Fells, Dunmail Road Stop, Wasdale Road Stop, Wasdale to Great Gable & then Newlands Church to Moot Hall). Chris only got 1 hours sleep, he was a knackered as I was. Scratch & I on-sighted the Helvellyn Massif in thick clag, we walked a lot of the Langdale section & worked our route up onto Bowfell, whilst sitting on Harrison Stickle talking to a passing walker. We possibly fell asleep on the side of Bowfell, near the stream you cross... I'll never know, but I definitely nodded! & struggled over the Scafell Massif. Yewbarrow to Pillar was tough & we lost our heads after Chris gave me his OS maps, I'd been using pre-marked Harvey maps that's i'd written bearings on the night before, and I couldn't understand all this detail. Harvey's are so clear, OS are just so cluttered. We nearly descended in to Buttermere, but found our way onto Brandreth & in to Honister. Here we were met by Dan Hinton & Boomer, who marched us on up Dalehead and down Robinson to re-join Chris at Newlands Church & a shoe change. We finished in a time of 22:49, not bad for 1 hours sleep, minimal preparation, cooking my stop meals the night before & barely any pre-practice. It was just the way I wanted it, no fuss, no pressure. Scratch amazed me. He never knew we were heading out for a quick 60+ mile jaunt with just the odd 28'000 ft thrown in for good measure. He was 3 at the time I think, maybe 4. He ran it no bother. He ate at 3 of the road stops. He just took it in his stride. His only slight injury was a pulled left shoulder, it recovered with-in a week. We were both just left tired, but very happy. If Richard Askwith's book is correct, then Scratch was the 6th dog to complete a BG. This was by no means Scratch's pinnacle running feat, but it was certainly his longest single push. He spent the following years, running with me when ever we could, he missed the races, but then I don't do so many. He did meet me at the midway camp on the Highlander 2012, when we won the score class. 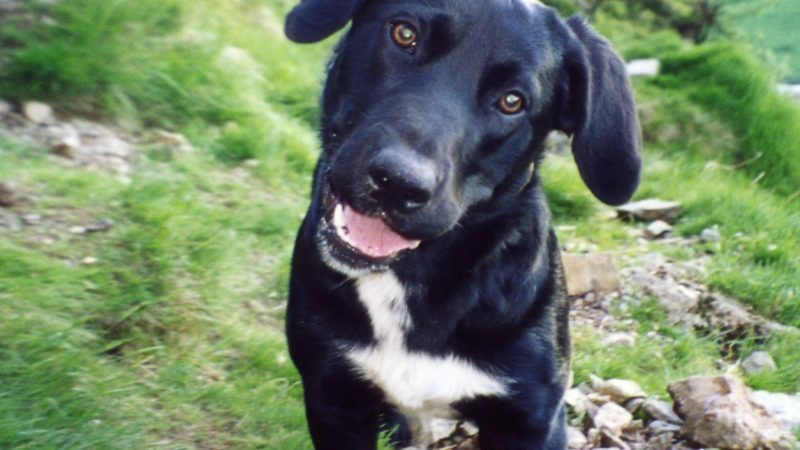 Scratch was much more than just a dog, he was a fantastic running partner. He also had to put up with the arrival of Pepa. Pepa is my crazy Spaniel. 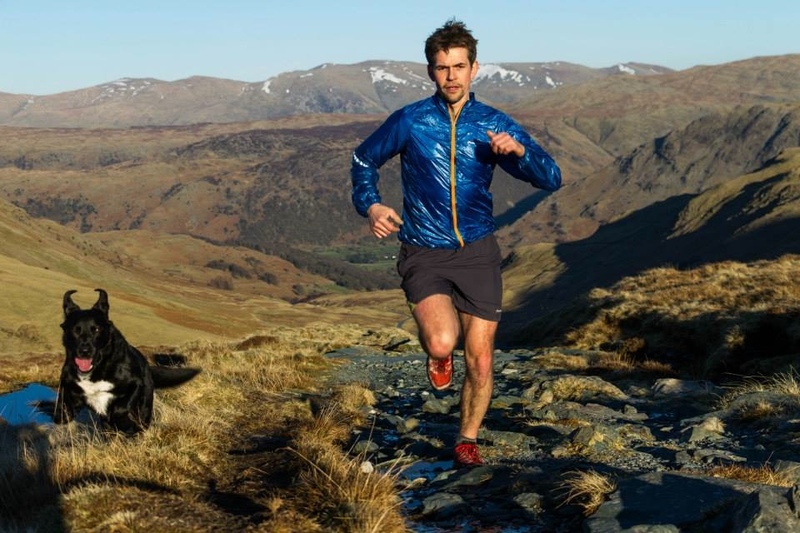 Together Scratch, Pepa & I became the 3 Amigo's, running the fells as much as we could. Both Scratch & Pepa have been out in all conditions, they've ski toured in the Cairngorms, run the mountains of Scotland, they've been on pretty much every peak in the Lake District & holidayed all of the UK. They've never complained, bounced back from injury. Done death defying feats in the depths of winter up frozen ground, climbed chimney's & rock steps, with the help of me, grade I to II gully lines on Helvellyn, Striding Edge & Swirral in all conditions, our best was 40mph constant winds in a full on snow storm, climbing along knife blade snow arret's & contending with ,in excess of, 70mph gusts, where we had to crawl, along CatStyCam. Scratch's favourite time of the year must have been winter, he really loved having snow kicked up so he could eat it in the air. He really was a dog full of life & energy. Scratch was my energy in the mountains, he looked after me when I was tired. He always dropped back if I was getting fatigued & he also saved Barney & I from death defying feats of steep slope & plant climbing when we became benighted, on the blackest of nights, at Raven Crag, Thirlmere. We had never been up there before & didn't know the way off. He found us floundering, after getting bored looking after the rucksacks, and showed us the path back to our packs. Of course we would have been fine without Scratch, but he saved us a whole lot of time. Amazing dog! Its a real shame what has happened to Scratch. The daft lad ate a piece of sheep's hoof, he must have cracked it off a leg, possibly just after the Marmot24, when we were control collecting. He had it in his stomach for a few weeks, we never knew. He had X-Rays, Scans, etc when we knew he was ill. He lost 2.5 to 3kg in a week. He lost a lot of strength & when the vets realised what was happening it was all too late. Scratch's heart stopped after a major rupture of the gut. They'd got the offending sheep hoof slither out, that was razor sharp, they'd stitched his gut back together, but unfortunately as they flushed his abdomen, his heart stopped & that was it. 12 years of bliss stopped, just like that. Its been a hard pill to swallow, he had many years to live out at our new house up Glenridding, but alas, Scratch's time was called. What is amazing is all the stuff we did together, all the mountains we ran across & all the stuff I learnt from him. 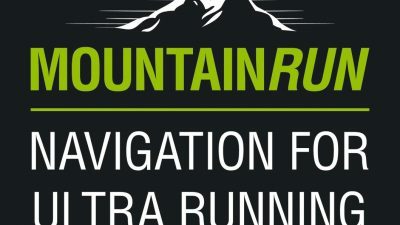 He was a founding member of MountainRun, without Scratch MountainRun would not exist. He was my running partner, best friend, teacher & brother. I loved to run with him, just out on the fell, minimal kit, no leads or collars, total freedom & watch his graceful gait as he moved. He was my inspiration. He was Scratch. Pepa & I are slightly lost now without him, but his memory lives on & he's buried looking up to Birkhouse Moor & down towards Angle Tarn Pike. Pepa is a different dog, he's been running by my side now. Scratch has gone, but Pepa & I will just keep on running & remember him where he was at his best. In the fells of the beautiful Lake District.